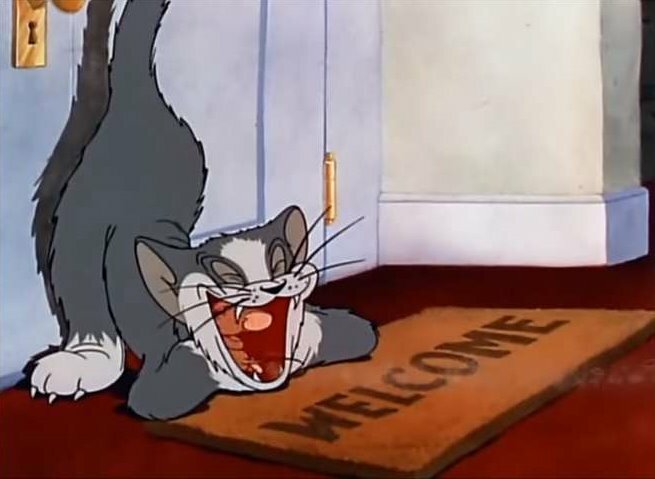 "Puss Gets the Boot" (fragment), is the first animated short subject in the Tom and Jerry series. The first cartoon in the cartoon series Tom and Jerry. Tom and Jerry had originally been are named Jasper and Jinx, but later viewers chose other names for the famous duo - Tom and Jerry. Release Date: February 10, 1940. The series was among the candidates for the award "Oscar" in the nomination "Best animated short film" 13 ceremony of presenting this award. This has opened up a series of 7 wins and 13 nominations "Oscar" for various cartoons series Tom and Jerry. This series is the longest of all the series. This series is one of the few episodes in which television shows original saver. Jasper (Tom next) in this series appears as quite an ordinary cat, without human traits: he moves on all fours, publishes the usual cat's meow, etc. Moreover, in the first few episodes of his uncharacteristic bit different from the traditional series appearance. June Foray redubbed Mammy Two Shoes to show on the channel Cartoon Network. Catherine Tate, Freema Agyeman redubbed Mammy Two Shoes to show on the channel BBC One. Classic series "Tom and Jerry".